Saturday, July 4 is going to be a VERY busy day at Daytona International Speedway, as the Grand-Am Rolex Sports Car and NASCAR Sprint Cup Series combined to present a doubleheader day of racing at the World Center of Racing. The Grand-Am Brumos Porsche 250 will take place on Saturday afternoon, followed by the NASCAR Sprint Cup Series Coke Zero 400 Powered By Coca-Cola on Saturday night at 8 p.m. The Grand American Rolex Series race has historically been scheduled for the previous Thursday, but will move to Saturday as a one-day event, with practice and qualifying in the morning. NASCAR drivers Jimmie Johnson, Juan Pablo Montoya, AJ Allmendinger and Casey Mears all took part in this month's season-opening Rolex 24 At Daytona, and could theoretically drive in both events on July 4, though the logistics and physical demands of such a twinbill make double-dipping unlikely. A pair of former NASCAR Camping World Truck Series champions and one longtime veteran have new deals for 2009. Randy Moss Motorsports confirmed today that they will field a two-truck team this season for rookie Tayler Malsam and former series champion Mike Skinner. Malsam will run for Raybestos Rookie Of The Year honors in the team’s #81 Toyota, with Skinner at the wheel of the #46 Tundra. 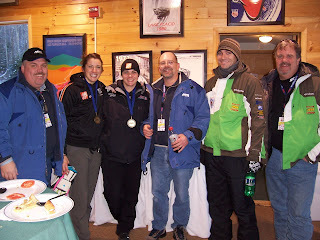 "We are very pleased to have both Tayler and Mike come on board for the 2009 season," said Moss. "Tayler has shown a lot of promise in his performance on the track in 2008, and we look forward to helping him to continue to grow as a driver in 2009. Mike will be able to help mentor Tayler, while going for his second championship at the same time. It's the perfect combination." Announcements regarding crewchiefs and sponsorship will be made in the near future, though Skinner is beleived to have brought technical support from Toyota Racing Development to the deal. Key Motorsports will run former Camping World Truck Series champion Mike Bliss in its No. 40 Chevrolet for at least six races this season, beginning with the NextEra Energy Resources 250 at Daytona. Bliss will also run California in February, Atlanta and Martinsville in March, and the May races at Lowes and Dover. He and the team are still discussing whether he will continue as driver for the rest of the season. Westerman Companies recently signed a six-race sponsorship with the team, beginning at Martinsville. In other Truck Series news, veteran Stacy Compton will drive the Wyler Racing No. 60 Toyota this season. Compton ran most of last season with Bobby Hamilton Racing-Virginia, before the team parked his Dodge due to lack of sponsorship. 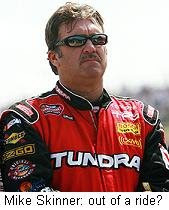 Wyler Racing began the 2008 campaign with driver Terry Cook, before releasing him in favor of former series champion Jack Sprague. The team had said that it hoped to combine Sprague with a younger driver in a two-truck effort this season, but there is no word today regarding Sprague's status. No sponsor for Compton's truck was announced. 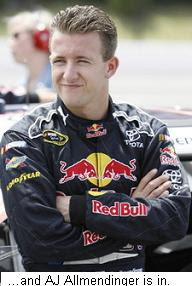 Richard Petty Motorsports has announced just moments ago that AJ Allmendinger has agreed to a contract to race for the team this season, with the team retaining an option for 2010. Allmendinger will drive the team’s No. 44 Dodge in the Budweiser Shootout, and the first eight races of the 2009 Sprint Cup season, as well as the Coke Zero 400 at Daytona in July. The team is attempting to put together a sponsorship package that would guarantee his participation in the remaining 2009 races, and in 2010. Allmendinger joins Richard Petty Motorsports’ teammates Kasey Kahne, Elliott Sadler and Reed Sorenson. Sammy Johns will serve as crewchief on the No. 44. There’s good news and bad news this week for suspended Joe Gibbs Racing crewchiefs Dave Rogers and Jason Ratcliff. The good news is that they could be reinstated by NASCAR in time to begin the 2009 season at Daytona. The bad news? Even if they are reinstated, JGR will leave them at home. The pair were among seven Joe Gibbs Racing crewmembers indefinitely suspended by NASCAR for installing illegal magnetic throttle stops prior to a post-race chassis dyno test at Michigan International Speedway last August. They applied for reinstatement last week, but JGR President J.D. Gibbs said yesterday that the team plans to impose an additional penalty. The additional suspension would keep Rogers and Ratcliff on the sidelines until the second race of the season at Auto Club Speedway in Fontana, California. NASCAR says there has been no decision made on their reinstatement. Officials of Earnhardt Ganassi Racing made their first public comment yesterday, two months after the merger of the two teams was first disclosed. EGR President Steve Lauletta said that the team will run three full-time NASCAR Sprint Cup cars this season, and four at next month’s season opening Daytona 500. Lauletta confirmed that EGR will move the Target sponsorship to Juan Pablo Montoya’s #42 Chevrolet this season, with Wrigley's remaining involved as an associate sponsor. Martin Truex Jr. will run the full season with sponsorship from Bass Pro Shops – after BPS agreed to extend its partial sponsorship if additional backers cannot be found – and Lauletta revealed that multiple sponsors for Aric Almiriola’s #8 Chevrolet will be announced soon. He did not comment on potential drivers or sponsors for the team’s fourth Daytona 500 entry, but said the car could compete in additional races, if sponsorship can be found. "If we can continue to run the fourth car past Daytona, we're going to attempt to do that," he said. "But as of now, the plan is inconclusive." All four EGR machines are guaranteed starters at Daytona, after finishing in the Top-35 in owners’ points a year ago. Verizon will sponsor David Stremme’s Penske Racing’s No. 12 NASCAR Sprint Cup Series Dodge this season, despite the fact that the company's logo and name will not be allowed to appear on the car. Verizon is barred from appearing on the car because of language in NASCAR’s contract with title sponsor Sprint, which allows pre-existing wireless communication sponsorships to continue, but not to rebrand or change hands. Alltel Wireless is being rebranded as Verizon after a sale of the company last year. Czarnecki said that NASCAR has been fully informed of the team’s plans, and that he believes the team can accommodate the needs of both their sponsor and the sanctioning body. While the Verizon name and logo cannot appear on the car, transporter, equipment or team uniforms, there is apparently nothing preventing Stremme or other team members from talking about Verizon in pre- or post-race interviews. UPDATED: NASCAR spokesman Ramsey Poston clarified what Penske and David Stremme are allowed to do to promote their Verison sponsorship. "Stremme cannot represent Verizon, on or off the track," he said. "The Penske organization has a good understanding of the circumstances and Sprint's role in the Series, and we don't think there will be an issue." Riggs Gets A Ride: Scott Riggs will drive Tommy Baldwin Racing’s new #36 Toyota this season. The team plans on competing in the Daytona 500, kicking off a planned full schedule in the NASCAR Sprint Cup series. No sponsor has been named yet for the #36 Toyota, though Riggs was believed to have an inside track on sponsorship from State Water Heater and Hunt Brothers Pizza. EGR Cuts Again: Earnhardt-Ganassi Racing reportedly laid off 40 more employees yesterday. 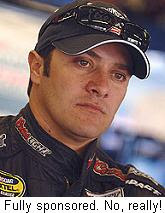 Martin Truex, Jr. and Juan Pablo Montoya are the team's only confirmed drivers for 2009, and no details have been released about Montoya’s sponsorship or car number. EGR declined to participate in this year’s NASCAR Pre-Season Media Tour. New Nose For Dodge: NASCAR has approved a new nose for the Dodge Charger, a move that Dodge teams hope will help their flagging performance on the 1.5 and two-mile intermediate tracks. Penske Racing crewchief Roy McCauley called the change, “very subtle,” adding that most observers would not even notice the difference. 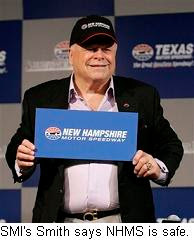 And Finally: Bruton Smith said yesterday that while he still wants to hold a NASCAR Sprint Cup Series race at Kentucky Speedway, he will not take an event away from New Hampshire Motor Speedway. The Speedway Motorsports Inc. Chairman declined to comment on where the race might come from, but sources say the fall event at Lowe’s Motor Speedway could be on the chopping block. No move is expected until at least 2011, and NASCAR has said it will not even discuss a race at Kentucky until former owner Jerry Carroll drops his lawsuit against NASCAR and International Speedway Corporation. Smith also said he has a way to liven-up the 2009 NASCAR season. He wants Sprint Cup Series champion Jimmie Johnson to punch someone. Smith offered to take the punch himself, and also offered up Texas Motor Speedway President Eddie Gossage as a sacrificial punching bag. No word on whether Johnson will accept the offer. 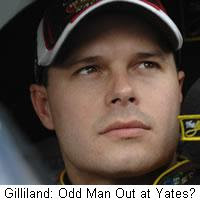 Hall of Fame and Yates Racing have confirmed a pair of owners' point transfers that put the status of driver David Gilliland in serious doubt for 2009. The team says that Bobby Labonte and his new #96 Ford will use the owner points accumulated by Gilliland and the #38 car last season, while Paul Menard’s #98 Fusion will benefit from an owner points transfer from the No. 28 driven last year by Travis Kvapil. A press release issued by the team said Kvapil will begin the season as a “fresh entry” in the No. 28 Yates Racing Ford, having to qualify on time for the first five races of the season. New Sponsor For Stremme: Penske Racing announced today that they will field a full-season NASCAR Nationwide Series entry for 2008 ARCA RE/MAX Series champion Justin Allgaier, with sponsorship from Verizon Wireless. The team also announced that it will unveil a new color scheme on David Stremme’s #12 Dodge at next month’s Daytona 500. No new sponsor was announced, but language in NASCAR’s contract with title sponsor Sprint bars Verizon from rebranding its Alltel sponsorship on the NASCAR Sprint Cup Series. And Finally: Dale Earnhardt, Jr., was apparently not amused by Memphis Motorsports Park’s offer of a lifetime supply of barbeque ribs in exchange for him racing in the track’s NASCAR Nationwide Series race this season. Earnhardt said, “Those kind of deals kind of get under your skin a little bit, because obviously I haven't raced there since 1999, and I probably won't be going back there any time soon. They just used my name to try to sell tickets and try to start some gimmick." He also expressed unhappiness that the track plugged a restaurant that supports the speedway, rather than his favorite rib joint, Rendezvous. Michael Waltrip said this weekend that if his on-track performance does not improve, this could be his final season as a NASCAR Sprint Cup Series driver. Waltrip said, “My goal is to go win some races this year (and) run up front, so that I don't have to say this is my last year. 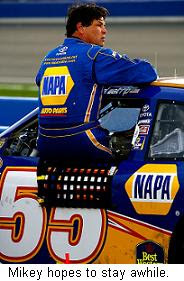 But if I don't do those things, if I can't compete at the level that Reutimann does -- or NAPA expects -- then I probably won't get to do this again in 2010." Waltrip finished 29th in the 2008 championship chase, with one Top-5 and two Top-10 finishes in 36 starts. He had a best finish of second ibn the rain-shortened Lenox Industrial Tools 301 at New Hampshire on June 29th, behind winner Kurt Busch. He also qualified on the outside pole for last year's Daytona 500. Reutimann, meanwhile, finished 22nd in points, with four Top-10 finishes and a Coors Light Pole. Three weeks after saying they would race in the Daytona 500, Triad Racing Technologies owners Bill Held and Marty Gaunt now say they will not take part in the 2009 season-opener, unless a major sponsor can be found. Instead, they told SceneDaily.com that they will focus on providing chassis and engines to other teams. Gaunt, meanwhile, refused to totally rule-out a Daytona 500 effort, calling it “highly unlikely." If Triad’s #22 Toyota does not compete at Daytona, the door would be open for Scott Speed to take part in the 2009 Budweiser Shootout. Speed’s Red Bull Racing entry finished 35th in 2008 owner points, and would inherit the newly announced “wildcard” slot for Toyota. Sirius Speedway spoke to NASCAR representative Ramsey Poston today, and he confirmed that Robby Gordon is approved to run the Budweiser Shootout in a Dodge, before converting to Toyota for the remainder of Speedweek 2009. Gordon ran Dodges last season, but will campaign a Toyota in 2009. Both manufacturers have apparently signed-off on the arrangement. It is difficult to imagine why Dodge would approve of the deal, since it bumps Penske Racing’s Sam Hornish --a full-time Dodge driver in 2009 -- out of the race. The ruling also raises some potentially explosive scenearios. For instance, Chip Ganassi’s #42 car finished 25th in owners points last year, running as a Dodge. Based on Gordon's eligibility, Earnhardt-Ganassi Racing could presumably build a Dodge and put Juan Pablo Montoya into the Shootout, bumping AJ Allmendinger. 2006 champion Tim McCreadie was injured during Wednesday’s second night of qualifying for the 23rd annual Lucas Oil Chili Bowl Nationals at Tulsa Expo Raceway. McCreadie, a former World of Outlaws Late Model champion and dirt modified standout, was leading his qualifying race when a boken rear axle sent him flipping over the catch fence. He was removed from the car by emergency medical technicians and transported to a local hospital, where doctors diagnosed a fractured thoracic (T3) vertebra and floating bone fragments in his spine. McCreadie was fitted for a back and neck brace yesterday, and reportedly faces a lengthy recovery. Amazingly, McCreadie reportedly does not have health insurance. 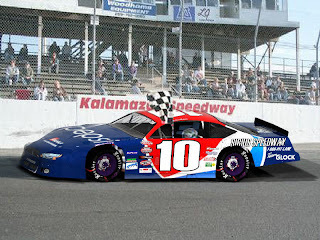 "Pepsi Steve" Buhala and the Sirius Speedway/Pepsi sim racer claimed their first win of the season last night at Michigan's Kalamazoo Speedway. Congratulations Steve! Just days after published reports had him heading to Earnhardt-Ganassi Racing’s #8 Chevrolet for 2009, Bobby Labonte is set to drive the # 96 Ford for Yates Racing. Labonte’s #96 will be one of three cars fielded by Yates Racing this season, apparently leaving either Travis Kvapil or David Gilliland out of a ride. Sources close to the team tell Sirius Speedway that Gilliland will likely become the odd-man-out, with Labonte utilizing the 28th-place owner points accumulated by Gilliland's #38 Ford last season. Paul Menard has already been confirmed to drive the #98 Menard’s Ford for the team, beginning at Daytona next month. 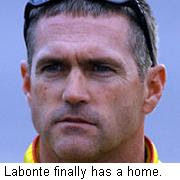 As Sirius Speedway first reported Monday, Labonte’s new entry will be sponsored by Ask.com in at least 18 races. Ask.com has also inked a deal to be the “official search engine of NASCAR." Today’s news marks the end of a hectic few months for Labonte, who parted company with Petty Enterprises at the end of last season, just months after signing a contract extension. He was widely reported to be negotiating with Earnhardt-Ganassi Racing to drive either the #41 or #8 Chevrolet, but those negotiations ended almost immediately once news of the Yates/Hall Of Fame Racing alliance began to circulate. In fact, my sources say that Labonte phoned Earnhardt-Ganassi officials late yesterday morning to inform them of his decision, and to cancel a lunch meeting scheduled to discuss his move to the Earnhardt-Ganassi #8. Labonte said, “I’m excited to be part of what Ask.com is bringing to our sport. In a time like this, it’s great to see a sponsor come in with technology and ideas that will help all of the competitors in NASCAR, and enhance the experience for all of our fans, no matter which driver or team they cheer for." In a strange twist, Labonte's decision to drive for Yates Racing could pave the way for Aric Almirola to steer the Earnhardt-Ganassi #8 Chevrolet, after all. Yates Racing and Hall of Fame Racing have announced that their two teams will align in 2009, with Yates operating the No. 96 NASCAR Sprint Cup car. The deal is not a merger. Doug Yates and Max Jones will continue as co-owners of Yates Racing, while Tom Garfinkel and Jeff Moorad will continue at the helm of Hall of Fame. However, the No. 96 will run as a Ford Fusion this season, fielded out of the Yates Racing complex in Concord, N.C.
No driver was announced for the #96 Ford. Yates currently had three drivers in its stable last season; Travis Kvapil, David Gilliland and Paul Menard. Only Menard’s #98 is believed to be sponsored for 2009. A press release issued by the team late Tuesday said that Yates will field three cars this season, without outlining the individual car numbers or drivers. The #96 was 39th in owners points last season, and will have to qualify on speed for at least the first five races of the season. Yates Racing’s Jones called the alliance, “a great stepping stone for the Yates organization,” saying it will allow the team to expand its shop and field an additional Sprint Cup entry. The release did not mention sponsorship, but Hall of Fame Racing is believed to have partial backing from DLP HDTV for this season. Sirius Speedway reported Monday that the Yates/HOF alliance will soon announce additional sponsorship from Ask.com. Labonte Now Headed To #8? The latest version of the Bobby Labonte saga has the former Sprint Cup Series champion moving to Earnhardt Ganassi Racing, but at the wheel of the team’s #8 Chevrolet. Until very recently, the expected 2009 Earnhardt-Ganassi lineup featured Martin Truex Jr. in the #1 Chevrolet, Juan Pablo Montoya in the #42, Aric Almirola in the #8 and possibly Labonte in the #41. Now, however, sources say that Montoya may be moved to the #41 with sponsorship from Target and Wrigley’s, with Labonte steering the #8 with new sponsorship and crewchief Doug Randolph atop the pit box. Almirola will reportedly drive the #41 car in only a limited schedule, beginning with next month’s Daytona 500. More races could be added if additional sponsorship is found. Since the DEI and Ganassi teams merged, there has been widespread speculation about the future of the team’s upper management; notably DEI’s John Story and Max Siegel. Now, it appears that Siegel may be looking for a new job. DEI’s President of Global Operations did not directly address reports of his impending departure, but spoke of his job in the past tense to ESPN.com last weekend. 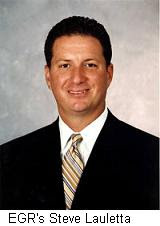 Siegel said, "This has been a great opportunity and I have always been committed to doing what's in the best interests of the sport and the company. I am currently in discussions with Teresa about how I can have the most positive impact on the future of DEI." And Finally: There is speculation this week that Hall of Fame Racing may be negotiating with Yates Racing to form a technical and/or economic alliance for the 2009. HOF ended a similar technical deal with Joe Gibbs Racing at the end of last season, and owners Jeff Moorad and Tom Garfinkle have said little about the coming season other than that they plan to race in the Daytona 500. Yates Racing currently works closely with Roush-Fenway Racing; a relationship that is not expected to change. The Hall Of Fame/Yates Racing pact could include backing from a new sponsor; internet website Ask.com. In the aftermath of last night's announcement of the impending merger of Gillett-Evernham Motorsports and Petty Enterprises, Elliott Sadler will remain in the seat of the #19 Dodge, after all. Just days after Sadler’s attorney threatened legal action to block his removal from the ride, GEM CEO Tom Reddin has confirmed that Sadler will remain in the #19 full-time in 2009, with AJ Allmendinger bumped to part-time status in the team's #10 Dodge. 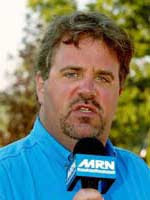 Reddin told Sirius NASCAR Radio today, "In my family, every now and then we have our differences. But we get those settled and resolved and we move on. We had some differences with Elliott, but we're a family and we have everything resolved. It's all settled and we're moving forward, full bore." Reddin also confirmed that the team is working on a deal with Allmendinger, who drove the No. 10 Dodge in the final five Cup races of last season. "We have always wanted to add a fourth car," said Reddin, "and we have at least an eight-race package for that for 2009. We have sponsors for four cars for Daytona, and we were very impressed with AJ. We hope we can work it out and get four cars on the track at least part of the time." Allmendinger’s business manager, Tara Ragan, told SI.com’s Tom Bowles yesterday that Allmendinger is not yet under contract with GEM, and remains a free agent. She said that there was never any discussion about Allmendinger replacing Sadler, and sources tell Sirius Speedway that GEM led Allmendinger to believe that Sadler's contractual situation had already been dealt with, leaving the #19 car vacant for 2009. Ragan told SI.com that Allmendinger is simply looking for a team that will give him a competitive, long-term ride, and is not interested in taking anyone else’s job. The announcement that the new GEM/Petty team will field a fourth car in next month's Budweiser Shootout means that Penske Racing and driver Sam Hornish will not be a part of the season-opening event. It now appears that Dodge's Bud Shootout roster will consist of Kahne in the #9 Budweiser car, David Stremme in Penske Racing’s Alltel #12, Kurt Busch in the Miller Lite #2, Sadler in the #19, Reed Sorenson in the #43 and Allmendinger in the #10. Thursday evening, Gillett Evernham Motorsports and Petty Enterprises announced an agreement in principle to form a new NASCAR Sprint Cup team co-owned by Richard Petty, Petty Holdings (owned by majority shareholder Boston Ventures) and Gillett Evernham Motorsports. The new team will field three full-time entries this season and a fourth Dodge in eight events, including the Budweiser Shootout at Daytona. Additional races could be added, contingent on sponsorship. The new team will operate out of the GEM shop in Statesville, N.C., and its engine shop in Concord, N.C. Three key Petty employees; Robbie Loomis, Dale Inman and Brian Moffitt will retain roles with the new team, and Ray Evernham will retain a minority ownership role. Petty said the new agreement ensures that his legendary #43 will remain a part of NASCAR racing for years to come. “This was a big decision for us, but it’s something we really wanted to do,” he said. “We hope everyone in the sport embraces what George Gillett and I are doing. I want to get back to winning and together we will bring the resources, technology and infrastructure to do that. 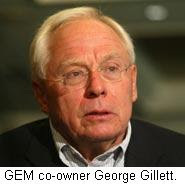 Gillett, meanwhile, said it is a privilege to help write a new chapter in the Petty family history. “To join with Richard Petty and Petty Holdings is such an honor for me and my family,” said Gillett. “Richard and I have gotten to know each other well over the last few years, and both of us believe we have formed something that NASCAR fans will support. We plan to keep the Petty name in the forefront of NASCAR." The merger will not affect the Richard Petty Driving Experience, which will continue to be owned and operated by Richard Petty and Petty Holdings. Less than two months after clinching the NASCAR Craftsman Truck Series championship, there is considerable doubt whether the former Bill Davis Racing team will field even a single Truck Series entry in 2009. Most of the newly named Triad Racing Technology’s employees were laid-off after the team was sold to new owners Marty Gaunt and Mike Held; told they would be given an opportunity to reapply for their jobs after the first of the year. TRT said Monday that it has rehired more than 80 employees, and are at full operation. However, former series champion Mike Skinner’s wife, Angie, revealed yesterday that her husband has been told he will not drive for TRT next season. Driver Brian Scott (who was signed to race full-time for BDR in 2009) returned to his family-owned Xpress Motorsports team this week, along with his 2008 crewchief, Jeff Hensley. There is no word on the status of fourth driver, Tayler Malsam. Shortly after purchasing the team, Gaunt and Held said it would take a month for them to finalize their racing plans. Since then, they have confirmed that the #22 Sprint Cup Toyota will attempt to qualify for the Daytona 500 with an unnamed driver. However, Gaunt stressed that subsequent races will depend entirely on sponsorship, adding that they have no intention of funding race teams out of their own pockets. Now, there are widespread reports that the team will not race on the NASCAR Camping World Truck Series at all this season. In short, it appears that Gaunt and Held may have purchased BDR – not for its high-profile race teams – but for the lesser-known Triad Racing Technologies, which provides chassis, bodies and engines to other teams. Late last season, Johnny Benson was widely criticized for the way he left Bill Davis Racing; first announcing his intention to retire before ultimately accepting a new ride with Red Horse Racing. 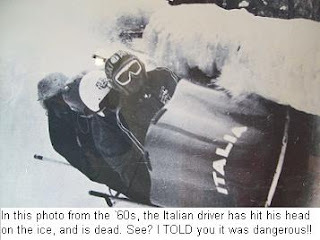 Some may still quibble with his technique, but as of now, it appears that Benson may be the only Bill Davis Racing driver with a ride in 2009. Elliott Sadler’s lawyer says his client does not want to be bought out of his contract with Gillett Evernham Motorsports. Attorney John Buric said Monday that Sadler will file suit against Gillett-Evernham Motorsports, team owner George Gillett, Ray Evernham Enterprises and driver AJ Allmendinger, hoping to block Allmendinger from replacing Sadler this season in the No. 19 Dodge. "Our objective is to get in the car and race for them," said Buric, "We have a contract with them. We intend to enforce that contract." Sadler recently filed paperwork in Iredell County (NC) court, giving him until January 20th to file a breach of contract suit, if a settlement cannot be reached. Sadler learned from Christmas Eve media reports that GEM was negotiating with Allmendinger to replace him, and claims that he still has not been officially informed of the move by anyone associated with the team. Buric says Sadler received a phone call saying only that the team wants to buy him out of his contract. "We said we don't want to be bought out,” said Buric. “Elliott has a contract that doesn't expire until the end of 2010. He intends to race in 2009 and 2010." Sadler has three wins in 357 career Sprint Cup Series starts, with 18 top-fives and 63 top-10s. He has posted 11 top-10 finishes in his last 85 starts for Gillett-Evernham Motorsports, and finished 24th in points last season. He signed a two-year contract extension in May, which runs through the 2010 season. GEM officials have declined to comment. There is no doubt that Elliott Sadler has a right to be angry. Nobody expects to get fired just seven months after signing a two-year contract extension. There’s a right way and a wrong way to handle this kind of thing, and in my personal view, GEM chose a really bad way. It’d be different if Sadler had pulled a Manny Ramirez; phoning-in the second half of the season and sending his performance into the dumpster as soon as he signed that new contract in May. But he didn’t. His performance was the same at the end of the season as it was at the start. Sadler says he knew there was talk of a possible driver change, but insists that he learned of his replacement only when a reporter called him for comment on Christmas Eve. If that’s true, shame on George Gillett. It’s one thing to be fickle, but quite another to deceive people in bad faith. GEM’s handling of this affair may come back to haunt them in the end. If your name is Kasey Kahne -- or even AJ Allmendinger – you know that if it can happen to Elliott Sadler, it can happen to you, too. I cannot imagine that Sadler really wants to drive the #19 Dodge next season. Driving into Turn One at Daytona is challenging enough, without having to wonder if your car was assembled by a group of people who no longer want you around. The relationship between Sadler and GEM is irretrievably broken, and no court order is going to change that. No matter what anyone's attorney says, the courts cannot force George Gillett to put Elliott Sadler in a racecar next season. 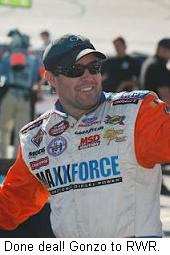 They can force him to pay Sadler’s contract – right down to the penny – but Gillett has the right to put Allmendinger behind the wheel and keep Sadler on the sidelines, if he chooses to do so. My guess is that both Sadler and his attorney know this, and that Mr. Buric’s latest statement is designed to earn his client a more lucrative buyout of his contract. It’s a crafty public relations move, intended to make Sadler look like a nice guy done wrong, and to make GEM look like a bunch of heartless corporate hit men. Both of which may, in fact, be the case. And finally, one more point. AJ Allmendinger has no role in this mess. He’s doing what Elliott Sadler -- and every other driver in NASCAR -- has done at some point in their career; replacing someone else in a ride that was offered to him. There’s nothing criminal (or even immoral) about that. Rusty Wallace Racing has just announced what Sirius Speedway first told you two weeks ago, that former NASCAR Truck Series Rookie of the Year Brendan Gaughan will drive the team’s No. 62 Chevrolet in a full-season bid for 2009 NASCAR Nationwide Series Raybestos Rookie of the Year honors. Gaughan takes over the car driven by David Stremme and Max Papis to a top-10 finish in the 2008 championship standings. The Gaughan family’s South Point Hotel and Spa will serve as primary sponsor of the No. 62 Chevrolet for a number for races in 2009. RWR will announce its complete sponsor lineup in the coming weeks. Gaughan’s long-time truck series crewchief, Brian Berry, will accompany to the RWR team in that capacity. Former crewchief Dale Ferguson will move to the team’s No. 66 car, driven by Steve Wallace. Former car chief Shane Huffman has returned to the team after a brief hiatus, and will serve as car chief for Gaughan and the No. 62 team in 2009. The Godfather is back (intact) from the 2009 Whelen Geoff Bodine Bobsled Challenge, despite three runs down the mountain on Saturday with homocidal maniacs Boris Said and Joey Logano. "It's unbelievably fast, unbelievably rough, and one of the biggest thrills I've ever had," said Moody. "Now I understand why this appeals to guys whose idea of fun is running 195 mph at Daytona. It's awesome!" Former NCTS champion Todd Bodine was the fastest man all weekend, winning Sunday morning's individiual competition with a scorching first run that was just enough to hold off a second-heat charge by Joey Logano for the title. He and brakeman Patrick Furman, a National Guardsman from nearby Plattsburgh, N.Y., were the only tandem to crack the 50-second barrier on both of their runs down the winding Mount Van Hoevenberg course. They finished with a combined time of 1 minute, 39.18 seconds, beating Logano by just 4/10ths of a second overall. "You get a bunch of racers together, and the one thing they all want to do is win," said Bodine afterward. "Coming out of here with a win, I'm tickled. Boris (Said) has been the king, and I finally got to dethrone him." "I guess I needed about four more tenths," said a beaming Logano. "I went down the chicane really good the first run, then got excited and forgot about the rest of the track and nearly flipped." 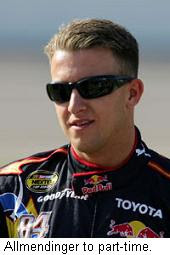 NASCAR Nationwide Series driver Larry Gunselman posted the fastest time of the event on his second run, finishing third overall, just 0.02 behind Logano. Bodine pushed a little too hard in pursuit of NHRA's Morgan Lucas in afternoon "NASCAR vs NHRA" finals, and ended the final run of the weekend on his lid along with his honorary brakeman, U.S. Men's National Team coach Brian Shimer. 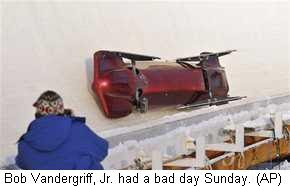 Shimer, a five-time Olympian, claimed it was his first time upside-down in a bobsled. Lucas and U.S. Women's coach Bill Tavares nearly overturned in the same corner just moments before, with Tavares' helmet scraping the ice-covered wall. 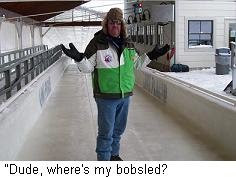 He exited the sled shaking his head, muttering, "Oh my God! Oh my God!" NHRA Top Fuel star Bob Vandergriff, Jr., took the nastiest tumble of the weekend, sliding 3/4 of the course (nearly half a mile) on his head after a scary wreck in the "NASCAR vs NHRA" quarterfinals. There were no injuries, but Vandergriff is undoubtably sore this morning! "It hurts. Good thing I have a football neck," said Vandergriff. "I've never been upside down in a race car. I don't want to do that anymore. That wasn't any fun." Two other sleds overturned during the weekend's festivities; including a four-man sled in practice on Saturday. Thanks to all the great sponsors and organizers for a tremendous weekend, to all the drivers who took part, and good luck to the US Men's and Women's teams, who finalized their lineups for the upcoming World Championships in Lake Placid later this winter. The beat goes on in the saga of Gillett Evernham Motorsports, Elliott Sadler and AJ Allmendinger. Allmendinger’s business manager, Tara Ragan, let the cat out of the bag last week, revealing that her client is in the final stages of negotiations to replace Sadler in the GEM #19 Dodge next season. 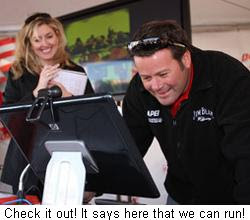 The move came as a bit of a surprise, since the team extended Sadler’s contract early last season, re-upping him through the 2010 campaign. But Allmendinger was sufficiently impressive in his five-race, late season stint with GEM that the team decided to make a change. Today, ThatsRacin.com’s David Poole reports that an attorney representing Elliott Sadler has filed notice in Iredell County (N.C.) Court claiming breach of contract on the part of Gillett Evernham Motorsports. His lawyer, John Buric, filed papers Wednesday giving his client until January 20 to file an actual complaint, if he is unable to reach a satisfactory settlement with the team. The document names George Gillett, Gillett Evernham Motorsports, Ray Evernham Enterprises and Allmendinger as defendants, and confirms what Sirius Speedway first told you last week; that Sadler did not learn until Christmas Eve that GEM had been negotiating with Allmendinger to replace him in 2009. Buric said there had been earlier communication with Sadler about a possible driver change. First: George Gillett has the right to put any driver he wants behind the wheel of his racecars. Second: AJ Allmendinger has the right to accept the offer of a ride in one of George Gillett’s racecars. Third: Elliott Sadler has the right to be fairly compensated for the two years remaining on his contract. There is a way for all three parties to emerge from this process (relatively) satisfied, and I’m confident that the scenario will ultimately come to pass. GEM and Sadler will negotiate a buyout of Sadler’s driving contract. GEM will spend more money than they want to, and Sadler will receive less money than he wants to. That’s called compromise, and it will ultimately clear the way for Allmendinger to fill the seat of the #19 Dodge, beginning at Daytona next month. There are a few other things I’m certain about, too. I know I feel happy for Dinger, who deserves (and has earned) a top-notch ride. He found himself the odd-man-out at Red Bull Racing, which ended up with three outstanding drivers and only two cars. The 2009 season will allow him to prove to Red Bull that they made the wrong choice. I know I feel crappy for Sadler. 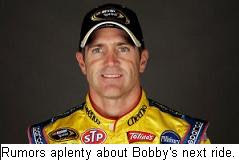 Ole Ricky Bobby didn’t have the greatest season in 2008, and if the team feels its time for a change, so be it. But canning a man on Christmas Eve? That’s low. I also wonder how a driver worthy of a contract extension in May ended up being road kill in December. Fickle bunch, those Gilletts. I feel bad for Ray Evernham, who brought George and Alex Gillett into the fold for all the right reasons, and with the absolute best intentions. The fact that his team now seems to have veered off in a direction he never could have predicted is sad in the extreme. And finally, I know that situations like this happen frequently in big time, professional motorsports. It’s a harsh world out there, based almost exclusively on “what have you done for me lately?” With millions of dollars on the line, patience sometimes wears thin. It’s sad. It’s unfortunate. And it’s the way it is.